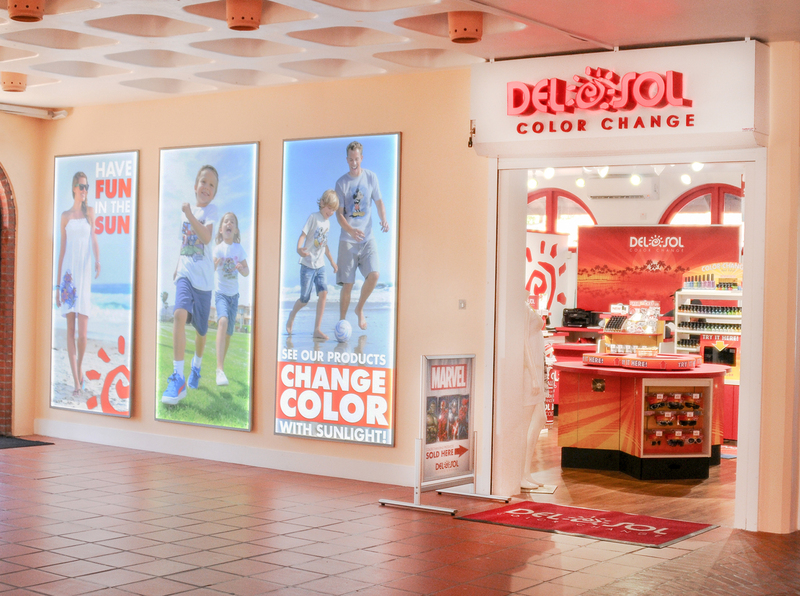 Designed new exterior graphics to show off latest products and lure shoppers into the store. Designed and mocked up all exterior graphics to ensure that size and placement were correct. 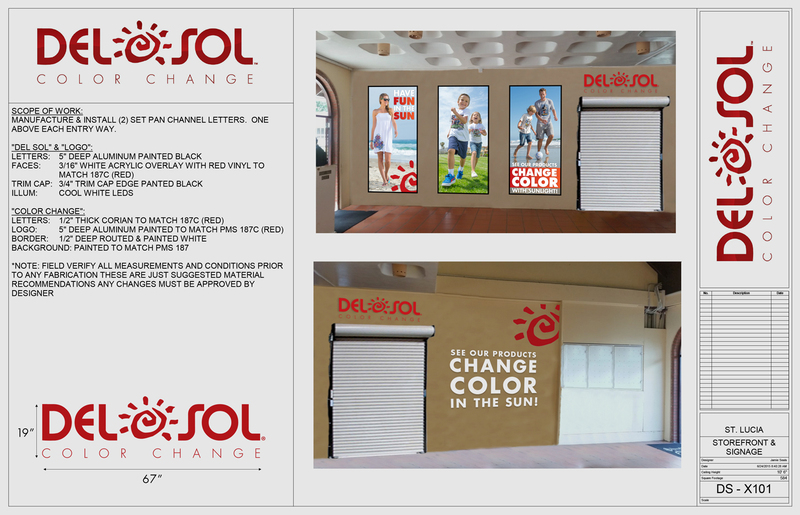 Worked with Store Design team to design new exterior graphics for Del Sol’s St. Lucia store located in the Caribbean. Design back illuminated graphics featuring lifestyle images of our products with an emphasis on fun in the sun. Worked with Design Purchasing team to ensure that graphics were created to size and sent to the correct vendors.